This is a very elegant mirror. It was made during the Art Deco period probably in France. 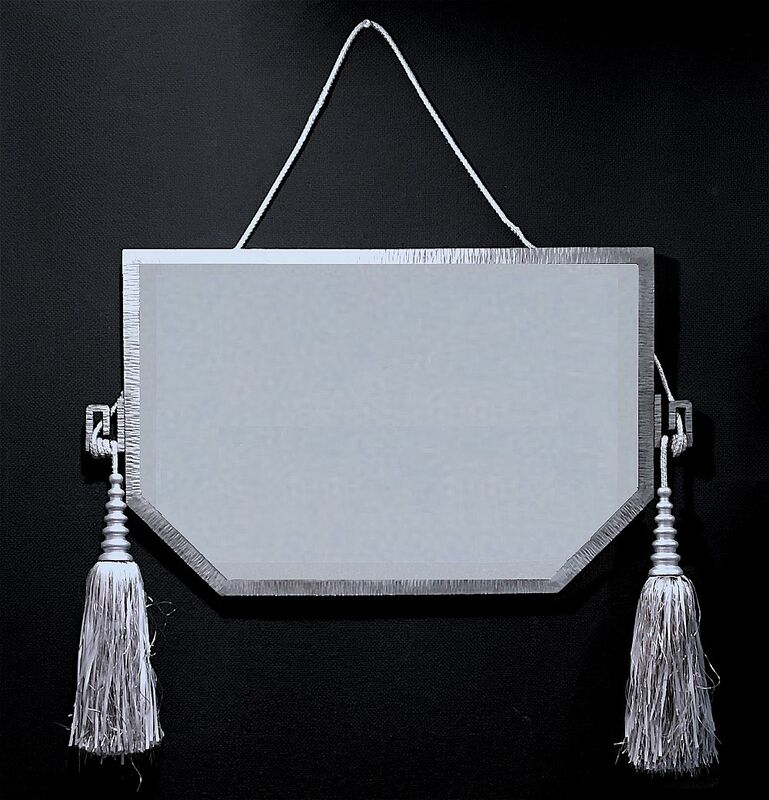 The textured nickel plated surround has loped corners on the bottom right and left hand sides and has silver silk and wooden cords and tassels that are merely decorative - the mirror has a fitment on the rear from which it hangs. The mirror has a bevelled edge.